Laoconnection.com: Lanexang Lager Beer - Try It Yet? LaneXang is a premium beer that deserves a special occasion. 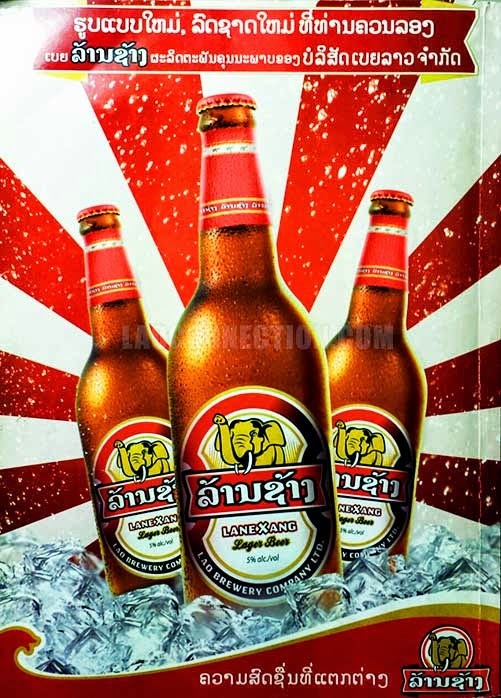 It's made by the best brewers in Laos using a extra special ingredients, including Khao Kai Noy rice from Laos. This provides a unique aroma that can only be experienced from LaneXang. With the full-bodied, yet smooth taste, LaneXang goes perfectly well with all the authentic Lao cuisine - especially with the strong flavored dishes.